Welcome to the 57th Annual Antigua Charter Yacht Show taking place December 4-10, 2018. Antigua Yacht Club Marina, Falmouth Harbour. Antigua & Barbuda. Admission: Registration costs depend on yacht size and can be done here. 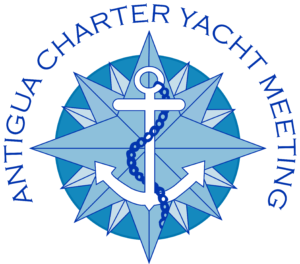 Welcome to the 57th Annual Antigua Charter Yacht Show taking place December 4-10, 2018. Once again we would like to welcome you to our beautiful shores for another exciting show. This year’s show is extended to cover six days and will again take place at the Nelson’s Dockyard Marina in English Harbour, the Falmouth Harbour Marina and the Antigua Yacht Club Marina both located in Falmouth Harbour. Due to demand from charter brokers and yacht management companies, all registered yachts will remain on the dock throughout the full 5 viewing days. This 5th day is also “Sail Day” offering management companies an opportunity to invite visiting brokers to experience a ‘micro-charter’ cruising Antigua’s stunning coastal waters and islands aboard a choice of some of the finest charter yachts in the Caribbean. There will also be a culinary contest. This year’s theme is A New Year’s Eve Dinner Party and A New Year’s Eve Decorative Table Setting. To learn about the contest and registration, click here.